In World War Two women were not allowed to fly in combat, and African-Americans were only begrudgingly permitted toward the end of the conflict. But women did perform an incredible amount of military flying as Women Airforce Service Pilots (WASPs). The Boeing B-29 “Superfortress” was the best bomber of the war, but it had some serious teething problems that made male pilots reluctant to fly it. Enter two WASPs who were plucked by Colonel Paul Tibbets to demonstrate that the plane was safe. Tibbets took this extraordinary step because he had a big mission to accomplish; train a bomber group to drop atomic weapons, which at that moment was still a big “if”. 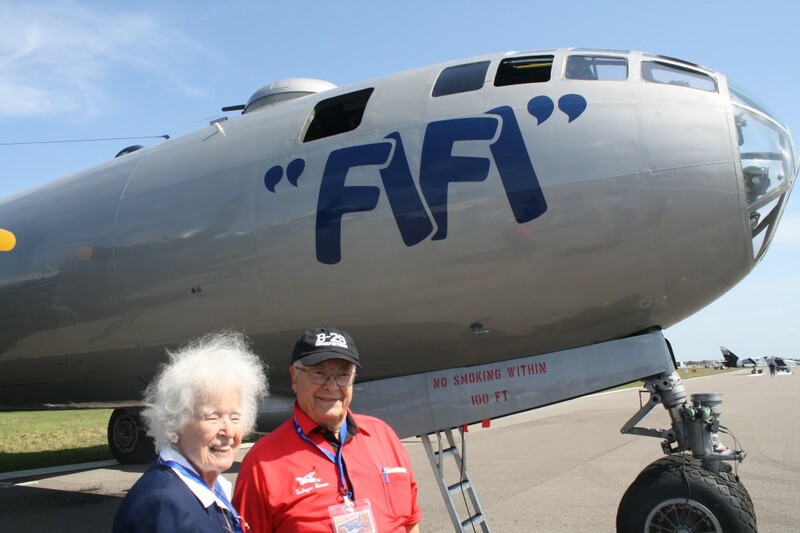 EAA Radio’s Afterburner Al has the largely unknown story of Dora Dougherty, Didi Moorman, and Tuskegee Airman George Hardy, who would have never flown the B-29 due to social attitudes, but they did anyway. This entry was posted in Nation and World and tagged Atomic Bomb, B-29, Bell 47, Bell Helicopter, CAF, Colonel Paul Tibbets, Commemorative Air Force, David Oliver, Didi Moorman, Dora Dougherty, EAA Radio, George Hardy, Hiroshima, Japan, Sun 'n Fun, Tracy Toth, WASPs by TheEastSider. Bookmark the permalink.